1Hort. Res. Institute, Agriculture Research Center, Egypt. This study was carried out during two successive seasons 2014 and 2015 on 8-year-old of “Anna” apple trees budded on Balady rootstock and planted at 4 x 4 m apart on sandy soil at South El-Tahrir in a private farm under drip irrigation system. 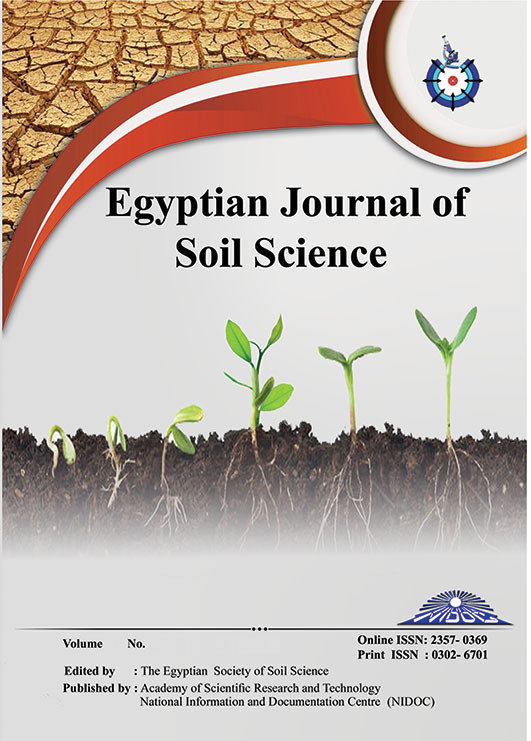 Addition of natural elements compound (NEC) as soil application beside other biofertilizers extract was investigated as compared with the mineral fertilization. Biofertilizers markedly affected soil organic matter, pH and E.C. as their values changed with Azolla, Cyanobacteria individually and/or in combination. The higher increases in nitrogen, phosphorous, potassium and magnesium content in apple leaves nutrients were observed with the treatment (Azolla + Cyanobacteria and natural elements). Biofertilizer extracts alone or in combination with natural elements compounds (NEC) increased leaf area, leaf fresh weight, total leaf chlorophyll content, fruit set %, and yield. Foliar application of Cyanobacteria reduced fruit drop than foliated by Azolla in the two seasons. Treating trees by combination of biofertilizer and NEC resulted in the highest fruit firmness, TSS %, vitamin C and total fruit sugar as compared with the other treatments. During cold storage, results showed, that the least weight loss percentage was recorded by NEC + Cyanobacteria and Azolla treatment in the two seasons. While the highest acidity % was recorded by control and NEC treatments. Generally, application of biofertilizers extract (Azolla, Cyanobacteria and their mixture) with natural element compound (NEC) improved growth, yield and fruit quality at harvest and after storability process. In addition the increase in microbial activity in the soil which may reduce additions of inorganic fertilizers.